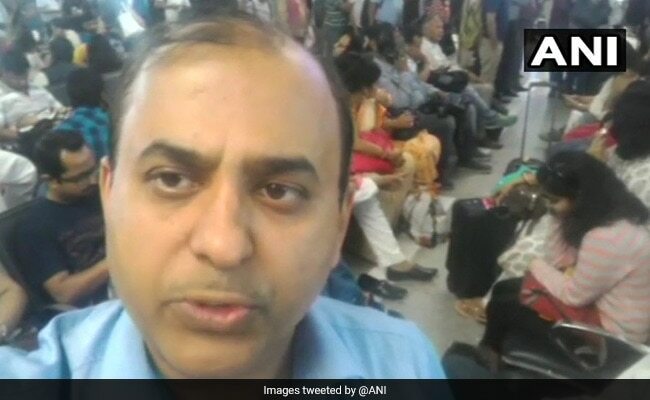 IndiGo has said in tweets that Dr Saurabh Rai was off-loaded after he used the word "hijack". Dr Saurabh Rai was scheduled to fly from Lucknow to Bengaluru on IndiGo flight 6E 541. IndiGo said he was off-loaded after he used the word "hijack"
The government has ordered an inquiry after a Bengaluru-based surgeon was removed from an IndiGo flight on Monday after a fight that started when he complained about mosquitoes. The airline has said in tweets that Saurabh Rai was off-loaded for "unruly behavior" and after he used the word "hijack". But Saurabh Rai says he was "held by the collar" and dragged by the crew that evicted him from a flight from Lucknow to Bengaluru. Saurabh Rai said the flight was full of mosquitoes. "I have ordered an enquiry into the incident of off-loading passenger Dr Saurabh Rai by Indigo at Lucknow Airport," Civil Aviation Minister Suresh Prabhu said today. Dr Rai said the flight was full of mosquitoes and when he complained, he was manhandled by the crew and threatened before being evicted. "I heard the crew saying 'if you have a problem with mosquitoes then why don't you leave India?'" he said. IndiGo said in tweets that Dr Rai "became aggressive and used threatening language" before the crew could address his complaint. The row quickly escalated when the aircraft exits were shut by the crew for take-off. According to IndiGo, "He (Dr Rai) attempted to instigate other passengers to damage the aircraft and used words such as 'hijack'. Hence, keeping in mind applicable safety protocols, the crew apprised pilot-in-command, who decided to offload him." As the incident buzzed on Twitter, the airline found itself parrying more complaints of mosquitoes and even apologising to a passenger. India's top budget carrier was in January slammed by a group of parliamentarians for "discourteous and rude" behaviour towards passengers; the MPs' panel called it an "institutional" problem and urged the airline to adopt a consumer-friendly approach. IndiGo has dealt with more than a few dissatisfied passengers over the past few months. In October, a passenger was heard on video screaming "How dare you!" when he was restrained and manhandled by IndiGo employees at the Delhi airport. The video generated waves of outrage. 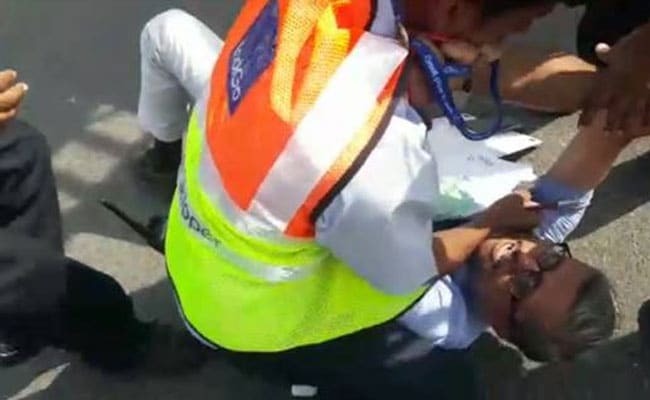 The airline also apologised when a passenger fell off her wheelchair while being assisted by an IndiGo employee at the Lucknow airport in November.